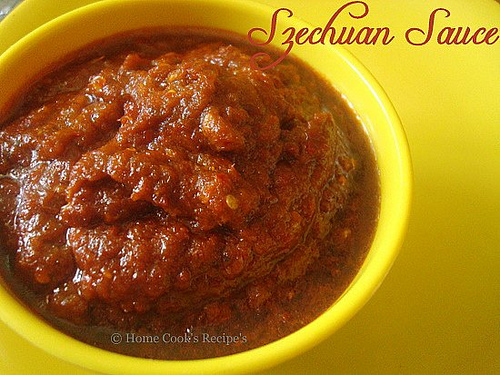 its a tasty homemade sweet schezwan sauce that tastes very nice. 2 tbsp kashmiri red chilly powder. Heat oil in a pan add garlic cloves fry till light brown. add chilly powder,vinegar,chilly sauce&tomato ketchup. Stir for a while&finish with adding salt. thanx for sharing this amazing recipe priyanka.instead of buying this sauce from outside...we can make it at home now! A wonderful recipe to share as most Indian sub continent people enjoy the taste of Schezwan Chinese then any other. Thanks Priyanka. Hi Priyanka!,This recipe is useful all viewers,though it seems as simple.Happy Cooking!.